July is Animal Welfare month for us and Bookmans Speedway ramped up their show of support for our furry, feathered and scaly faced friends. Each weekend Bookmans Speedway brings in animal rescues to heighten awareness about a variety of animal welfare issues. We have everything from Any Rat Rescue to Arizona Greyhound Rescue. Starting in August we welcome our newest rescue, Hermitage Cat Shelter. Read on to learn more about our animal rescue events and the tall tails we keep on our orange shelves. If you want to multiply the love in your life, find a friend at any one of our welfare events. If you have a few extra hours or dollars, volunteer your time, make a donation or become a foster home, education and information is available at each tabling event. If you have a treasured pet already or are researching getting one, Bookmans Speedway also has fantastic Animal and Pet sections. Our shelves are full of fascinating tales of pet love, animal antics and guidebooks for every type of pet and animal. One of our favorite pet books is Bad Dogs Have More Fun by John Grogan. This New York Times Best Seller is a compilation of writings on family, animals and life from the Philadelphia Inquirer. Another interesting title is Pets in America by Katherine Grier. How did Americans become accustomed to keeping animals as pets in our homes? This book includes wonderful anecdotes throughout history including stories about Mark Twain’s daughter’s pet calf, Ralph Waldo Emerson’s shared parrot and Dickens’ gentlemen pigs. You can learn practical information in works like A Field Guide to Cows, The Everything Aquarium Book, The Chicken Book and Pads for Pets. Funny, informative and touching, these tales engage and educate. 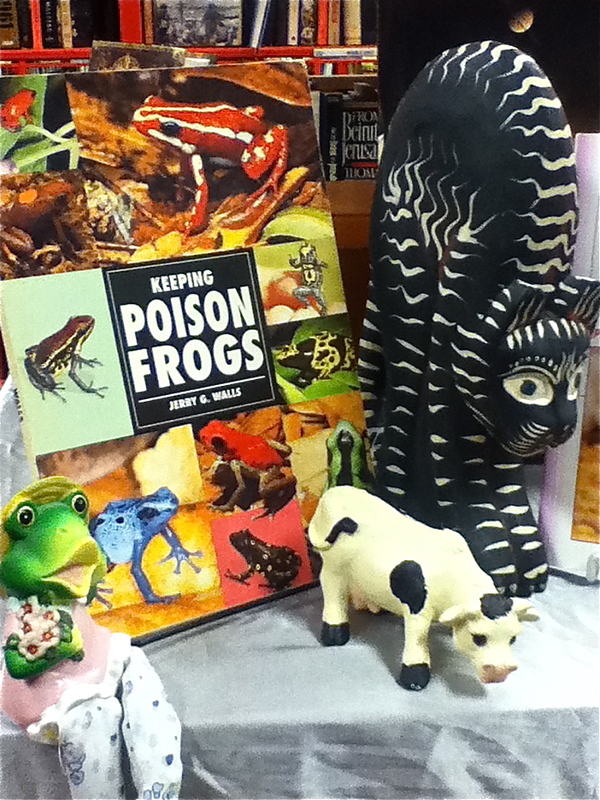 Enjoy all that Bookmans has to offer this month as we celebrate Animal Welfare month. Our stores are the best place in Arizona to browse for books, but we cannot guarantee stock. If you are interested in one of the books mentioned in this post, give your nearest Bookmans location a call. Meet Suyin, Event Liaison at Bookmans Flagstaff!